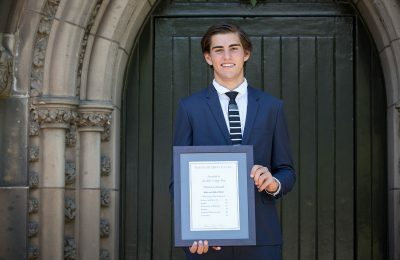 This term, 2017 College Dux Thomas Cantwell addressed students and staff at the Semester 1 Higher Achievers Morning Tea. The function is held each semester to recognise the top ten students in each year level for their academic excellence. The students were also recognised at the whole school College Assembly. The following exerts are from Thomas’ speech that highlight four lessons learnt during his time at Whitefriars College.